The North-eastern region of India, can be considered as “mini India” because of the indigenous people inhabited in this area, who have their own unique identity in terms of history, culture and traditions. The Indian tribes have also been a significant topic of discussion among the fields of social anthropology and sociology. The tribes in India are different from the tribes of Africa and Australia. Though many commonalities are found to exist among these tribes; the major difference lies in their relationship with the outside world. The tribes in the North-East region of India are required to be described on the wider socio-cultural space. The theory of assimilation or the policy of assimilation of the tribes is associated with assimilation of these tribes with the remaining Hindu population of the country. The cultural assimilation or the cultural integration of the tribes will result in weakling the social and cultural identity of these tribes. It could also be understood with an example of the different tribes in many other regions of India, such as Santal, Kond, Gond and Korku, who had preserved their own tribal languages, culture and traditions, but they were assimilated with the remaining Hindu population and this process affected the uniqueness of their own language and culture. The policy of cultural integration and assimilation are the integrate and assimilate the North-eastern tribes of India in the Indian society, which significantly contradicts with their demand of sovereignty. Their personal identify and existence is threatened through cultural integration and assimilation policy as it will affect their distinct identity and culture. Cultural integration an assimilation could be considered as the process of centralizing and denying the personal rights of the tribal people. Cultural integration will result in causing a dangerous impact on the life of tribal and will also impact their indigenousconsciousness about the ‘self’ and the ‘tradition’. Tribal have their own social and ethnic identity that they have developed over the period of many hundred years and are significantly attached to their own tribes and ethnicity. The tribes living in North-East India are considered to be backward because of their separation from the major development process. However, these tribes have their control over their own land, forest, and natural resources and have also developed their own social and political culture. Tribes of North-East India mainly lives on the mountains and have been significantly dependent on hunting, fishing and farming for their living. This primitiveness associated with their culture, they are seen as far from change and modernization. The tribal live a symbolic life with the land, forest and water and the natural resources are significant part of the social life, culture and traditions. Cultural integration of the tribal will result in eliminating their uniqueness, as the cultural integration will result in losing their language, their local dialects, their social structure and cultural beliefs. Integration of culture will dissolve their egalitarianism and their uniqueness will be lost for ever. The life, culture and traditions of the tribes demand significant preservation and protection in order to allow their uniqueness survive in the changing world. Personal an social identify of an individual are the significant part of the life, as it allow the individual to have the sense of connectedness and belonging. The sense of community is of great significance for the tribes in North-East India, s the community and belongingness are central to their life. However, through culture integration and assimilation policy, all the main characteristics and specialities of the tribes will be lost. Assimilation Policy was originally used in United States for the cultural assimilation of the Native Americans. This effort was made to transform the social identity and culture of the Native-Americans to European American Culture. However, there are various evidences in the literature that demonstrate that such assimilation had lead to the destruction of the aboriginal people and their society. 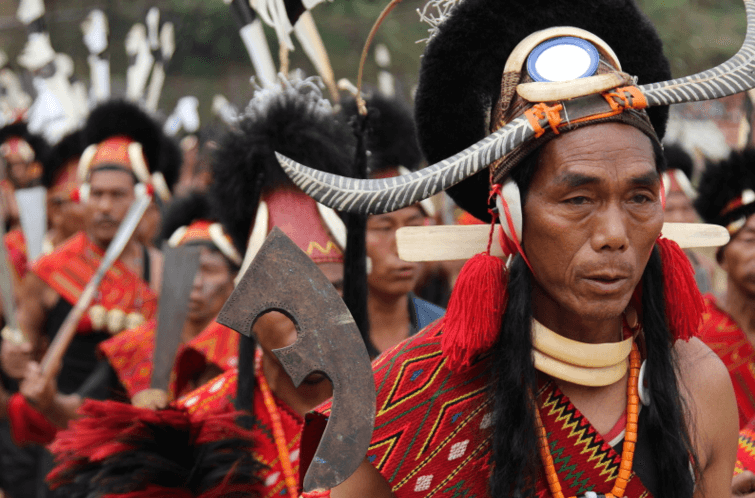 Therefore, the cultural integration and assimilation policy can also be considered as a threat to indigenous tribes in the northeast of India. The social and economic development of these tribes is very significant, but it should be done by respecting their identity, uniqueness and the cultural values. There are various tribal culture and indigenous language that have managed to survive the time in India. Such culture and language could be lost if there are culturally integrated. The integration and assimilation often result in adopting the language, culture and social norms of the dominant groups. If the tribal people are culturally integrated or assimilated with the Hindu society of India, they will be affected by the dominant cultural and social practices and protecting their uniqueness would not be possible. It is also important to understand that indigenous people have their own system of governance, which is mainly characterises by the decentralization of power and self-rule. Therefore, through cultural integration and assimilation policy, the tradition of self-rule and their own system of governance will be destructed. Their sovereignty, self-rule and customs will be affected and destructed through cultural integration. These tribes require more opportunities for social and economic development, however, such development should be promoted by respecting and acknowledging their culture, traditions and social structures. Instead of their integration or assimilation, these tribes require protection and preservation of their unique history, culture, traditions and languages, which can be achieved through governmental and state support. Moreover, the stakeholders should understand that the future of their destiny lies in their own efforts; therefore, it is important for them to acknowledge the fact that in the rapid pace of globalization where cultural and economic forces are threatening their existence they should put efforts to protect their own existence. Culture cannot have natural survival. Culture survives on the shoulders of its stakeholders. At this juncture, it is pertinent to quote one Tibetan political activist I met in Mcleodganj, while having discussion on the idea of freedom from Tibetan perspective he spoke some beautiful words of wisdom, he said, “Tibetan idea of freedom and liberation lies in the survival of the great Tibetan culture. As long as Tibetan culture is alive in any part of the world, WE ARE FREE”.